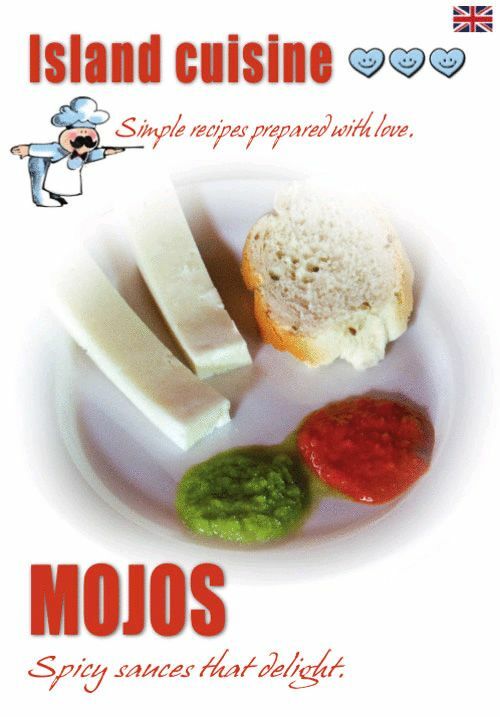 Mojo sauces have accompanied a number of dishes prepared by the people of the Canary Islands, where housewives put out one or even two “mojos” – whether green or red, mild or hot – to supplement almost every dish. The main ingredients of a mojo sauce are garlic, oil and vinegar, but additives such as cheese, orange, avocado, sweet pepper or almonds can also be added to a mojo. What is interesting is the fact that all ingredients are pureed raw during preparation, thus retaining all vitamins. Everyone who has visited one of the Canary Islands has almost certainly tried a red or a green mojo, both of which always accompany the famous dish “papas arrugadas”, the typical islands’ wrinkled potatoes, which are eaten with their skin.